AdrenaCore is the perfect formula for resetting your adrenals. It contains 3 ingredients that work together to help improve your memory and eliminate how exhausted you feel. Withania somnifera helps lower your cortisol and restore your adrenals to their youthful state. Vitamin B12 aids in focus, motivation, and sexual pleasure. L-theanine is vital for calming and focusing your mind in just 33 minutes. With AdrenaCore, you get a complete formula that addresses the root cause of why you feel exhausted and goes to work resetting your adrenals to a youthful state. Like you’re in your 30s – without the worrying or brain fog. With AdrenaCore, you won’t have to struggle to make it through the day. You won’t have to give up the fun things you love. You won’t have to feel old or exhausted! 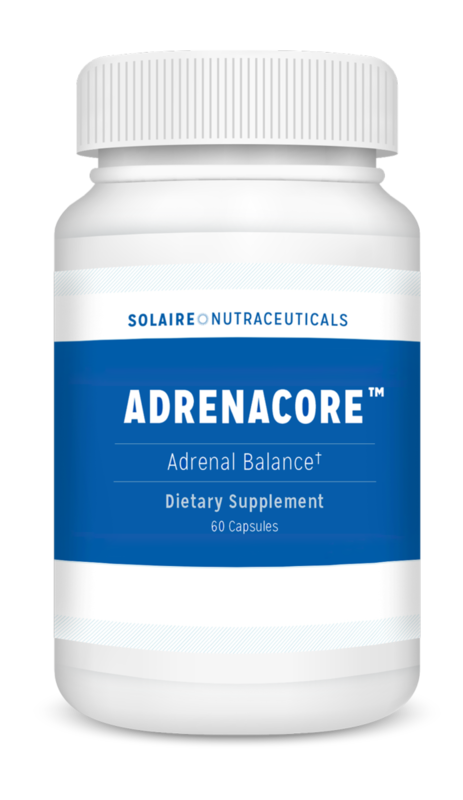 Once you start using the specific nutrients in AdrenaCore, they will race to your adrenals and deliver exactly what you need for younger, more balanced hormones and high-energy living. And a calm, focused mind. And it’s all thanks to resetting your adrenals with AdrenaCore.